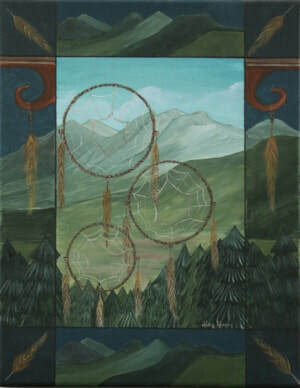 The dream catcher is a hoop made with horse hair decorated with feathers and beads. It is made to give the owner of the dream catcher sweet dreams even though it attracts all the dreams, it only traps the nightmares in its web. Good dreams then pass through and slide down the feathers to reach the person sleeping. When daylight comes, the nightmare will be exposed to the light and disappear leaving the owner waking up refreshed from a peaceful sleep.